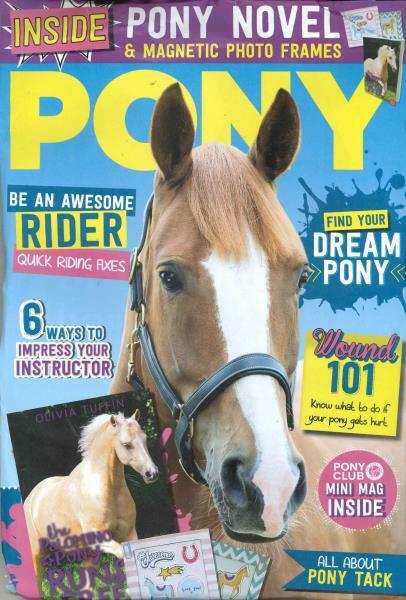 The Pony magazine is an UK based magazine and a hugely popular one. It advertises itself as an activity that is the next best thing to riding. It advertises itself as an activity that is the next best thing to riding. It is the magazine that everybody, from little kids to expert trainers, uses as a reference point. Even though it is targeted at the UK teenage groups, the advice is applicable for all. Having various types of sections, it coerces teenage students to take up riding as a hobby or profession and provide a lot of information to those who are already keen to do so. It uses the space to improve riding techniques. Youngsters subscribe to the publication regularly to get updates about dress and directions on how to ride the pony correctly. The magazine gives out secrets to get to knows one’s own Pony and to build rapport so as to put the animal at ease. The correct way to treat an animal is clearly encourages and a lot of information is provided on the basic habit, habitats, and requirements of an animal such as the horse or the pony. Quizzes and puzzles encourage such information building and also give motivation to the beginner. My grand daughter lives in the USA and she has her own pony, she loves this magazine and reads it from cover to cover. I will be renewing the subscription as this one finishes. My grand-daughter loves horses and really enjoys this magazine.